*This is not a Cabarrus Regional Chamber of Commerce event. This event is hosted by a member of the chamber. 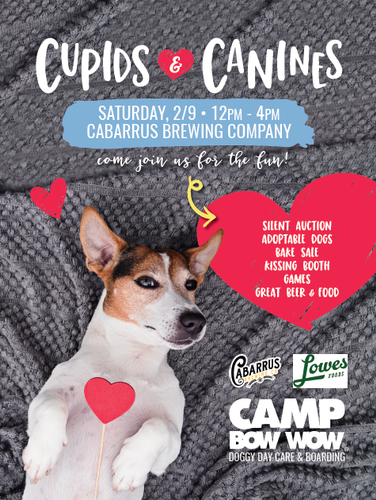 The 10th annual Cupids and Canines event is held at the Cabarrus Brewing Company on February 9th, of which ALL of the donations go directly to the rescues that participate. During this year's Cupids and Canines, we will have raffle items, games, food trucks, baked goods, a puppy kissing booth, and of course, adoptable dogs! Our main focus is to showcase the animals available for adoption!